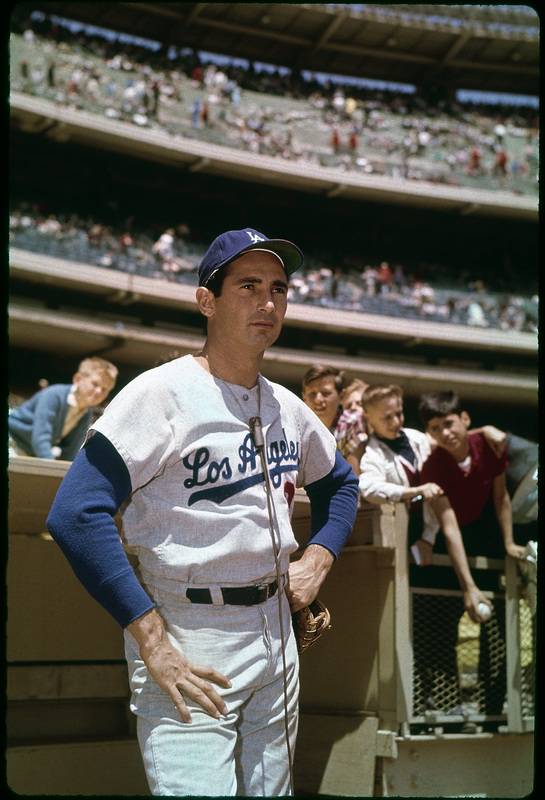 I was fortunate to see Koufax pitch times, once against the Yankees in the 1963 World Series and 5 times against the Mets. I still have the progtam where he pitched a one hitter allowing a home run to Jim Hickman. One of the truly amazing things about him was, if he did not have his curveball he could still pitch a shutout with just his fastball and control, as in the seventh game of the World Series against the Twins. Everyone who saw it remembers Sandy greatest in that game, but I will always remember the play Jim Gilliam made at third on Zoilo Versailles. So many great memories. I did not see his fourth no-hitter and perfect game but I did listen to the recreation of the game on radio by a young new announcer called Marv Albert on radio. 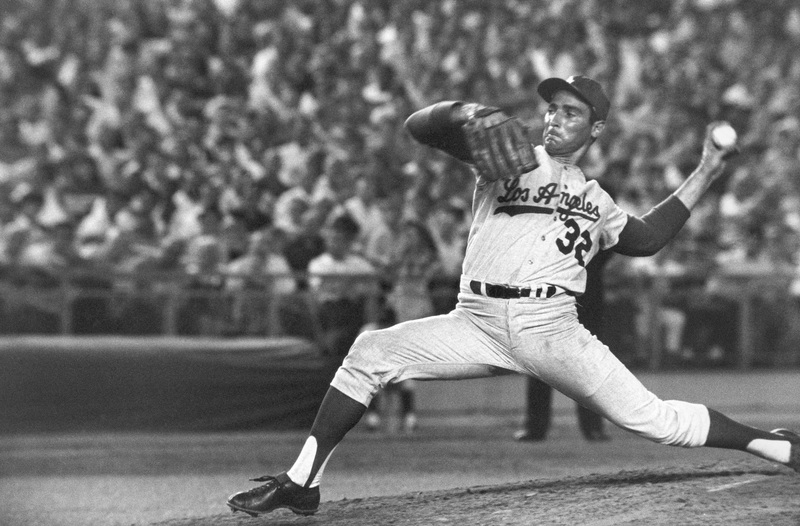 The interesting thing about Koufax’s legend is there is not need to embellish, it is all true. The greatest who ever walked onto a mound! The great Willie Stargell once quipped, “The greatest thing in my career? 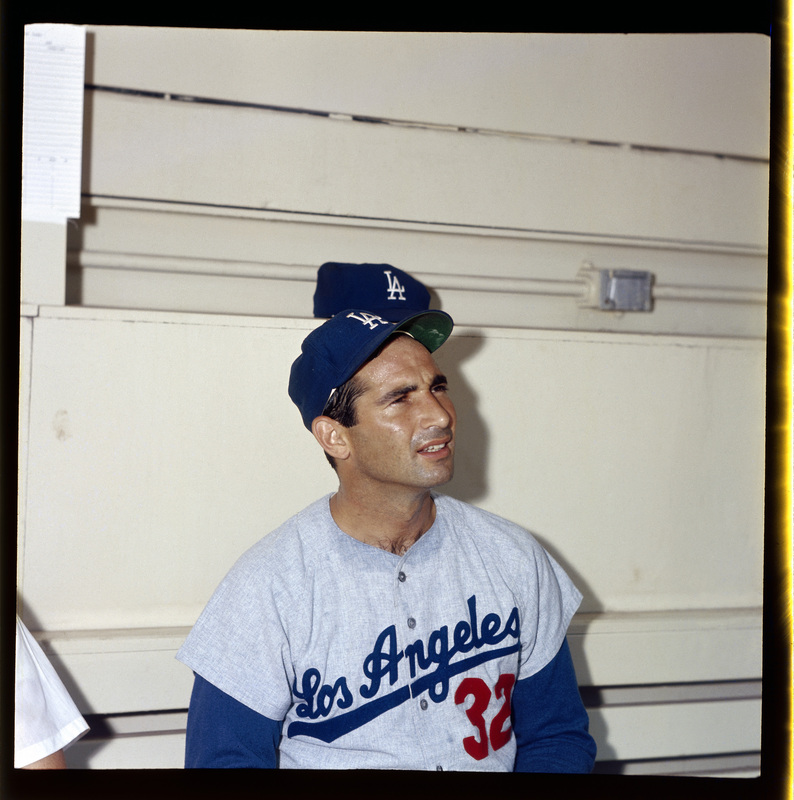 The day Koufax retired”. Mantle, after striking out on a Koufax curve, shook his head and asked “What the f— was THAT”? There will never be another Sandy like that Sandy. Ferguson Jenkins and Greg Maddux. Both of them..
Can’t remember what year it was, but the Dodgers and Phillies were playing a doubleheader at Dodger Stadium; Sandy and Big D were pitching. The Dodgers won both games, 8-0. What a time and joy!!! I always tell my kids, Sandy was the greatest pitcher I ever seen! 1965 was the first year I was a baseball fan–I was12–it was Koufax and Drysdale–and the Dodgers won, what more can I say. 31 should Fergie Jenkins and Greg Maddux! Just came back to LA from Camelback Ranch. Seeing Sandy there was icing on The cake!! Thanks for the reblog, Emma!